The special day has come for Britain as royal couple Prince Harry and Meghan Markle will say 'I Do' at St George's Chapel. Windsor Castle is flooded with people to greet the newlyweds - with many hoping for the wedding to be sealed with a royal kiss or two. The wedding ceremony will see the couple riding together in a two-mile, 25-minute open-top carriage procession through the streets of Windsor. 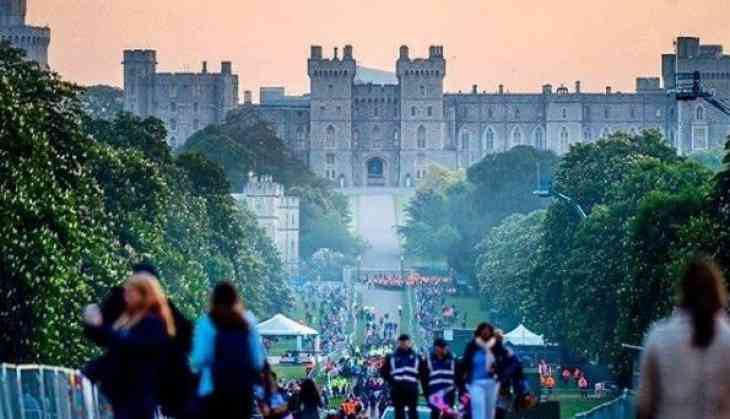 Prince Harry and and best man Prince William greeted jubilant crowds - many covered in Union Jacks and bunting - after waving off Meghan Markle and her mum Doria. Prince Harry and William appeared in public on The Mall in central London in 2011. Duke of Sussex, Prince Harry shook hands with royal fans in Winds and said he was feeling "great" just a day before his wedding.